1. 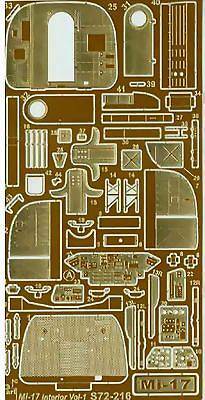 The latest in the FE Resin line of 1:144 kits is the CH-46 Sea Knight, #144022. 2. 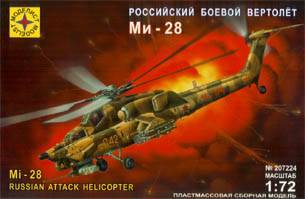 The St. Petersburg company Modelist has released a 1:72 kit of the Mi-28A Havoc (#207224). This appears to be a re-box of the Lee kit (#00106) from China, which is a sub-standard copy of the Dragon / Italeri kit. The mouldings are said to be somewhat crisper than the Lee version, with a clearer and less scratched canopy. Some parts in the example seen were short-moulded. The decals are from Anna & Co, and our Moscow correspondent warns us that they are probably best coated with a liquid decal film or similar varnish before letting them anywhere near the water. Probably one to avoid! 3. Czech Masters Kits have released an exterior detail set for the Revell / Monogram 1:48 Mi-24 Hind kits. Although it was previously advertised as being an interior set, #4081 actually gives you fuel tanks, corrected fuselage (corrected how? 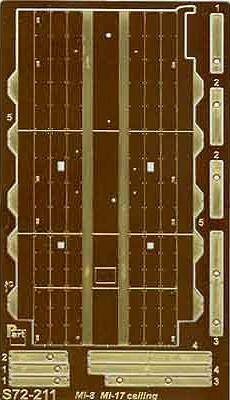 ), stabilisers, antennae, radomes, and armament for a Mi-24V/P (Hind-E/F). There are also said to be bonus parts for a Mi-24D Hind-D.
5. 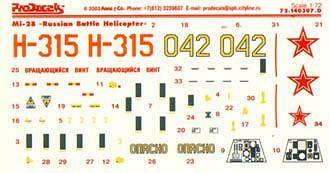 Preview scans of Linden Hill's Mi-24/25/35 'Bush War Hinds' decal sheet (part 1) are now available at the Linden Hill website. The contents are listed in HKN #170. The decals have been printed in both 1:72 (#72006) and 1:48 (#48006) scales; the instructions should be ready soon, and then they'll start shipping. These sheets will include full Russian stencilling. 6. 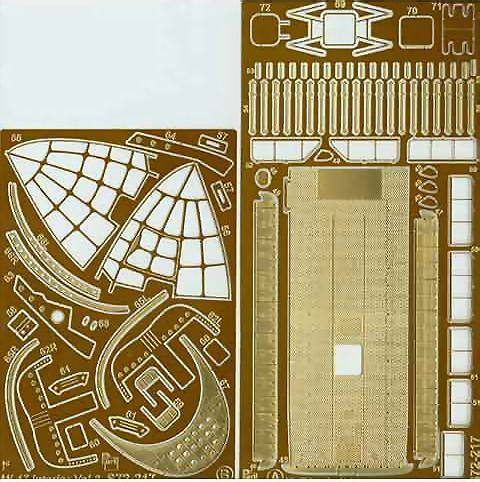 It is confirmed that the new 1:72 Mastercraft AH-1G kits (HKN #174) are based on the moulds from Plastyk. 7. In his latest Hyperscale construction feature (12-Nov-03), Steve Eggers describes how he converted the 1/48 scale V-22 Osprey from Italeri to an accurate MV-22. 18 pictures are included, with plenty of photos of construction and images of the required modifications. The next issue of HKN will be the Scale ModelWorld 2003 special edition. Thanks to Roger Marriott, Guy Holdroyd (Lindenhill), Yevgeny Borissov, and Pawel Okulski.